I contemplated waiting a week before reviewing but I thought, nope. You shouldn’t look at this movie from the perspective of a new movie, you have to watch it as a sequel; the end of the trilogy. Without watching the previous two, you wouldn’t be able to fully appreciate this one, simply because of the history that Christopher Nolan had invested into Batman Begins and The Dark Knight. The movie is basically how Gotham is breaths away from total annihilation, Batman is in a hole somewhere with a broken body, the villain rules, all the police are trapped underground and the convicts are rampant. It’s called ‘The Dark Knight Rises’ because Bruce is at a place in his life he wants to give up being Batman but the city of Gotham cries out for a hero. He has to overcome every obstacle to get back on his feet and fight one of the toughest villains DC could conceive, Bane. Script was fantastic. I tell you, I almost cried every time Alfred tried advicing Bruce. Almost. I was truly moved by the depth of the words. 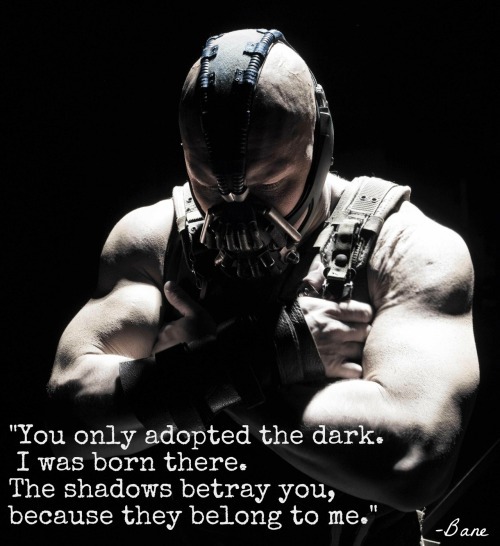 I think Bane and Alfred had the best lines to say. I also loved the twists throughout the movie. Nolan’s really got a knack for surprises. Bane. No, John Blake. No, wait, Bane. No, wait, John. No, okay, Bane. Hands down, John Blake. 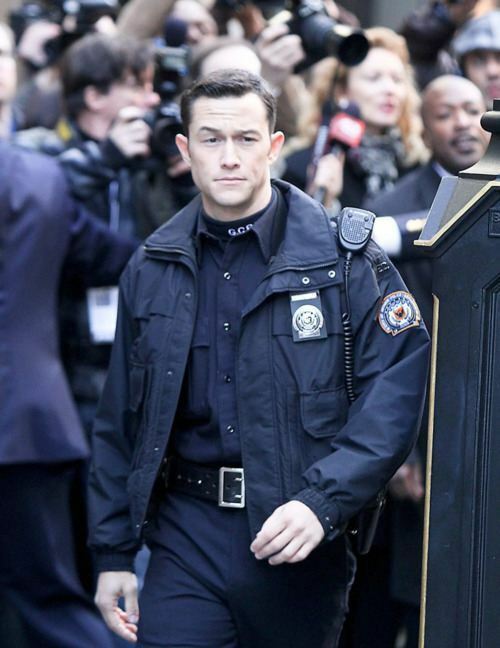 I’m not biased because my all-time favourite pretty boy , Joseph Gordon-Levitt is playing the role. I just feel that as a cop, he utterly brought out the spirit of integrity because he doesn’t just flash his badge for free doughnuts but stood against corruption at the expense of his own life to save others. He’s the real hero, in my onion. Selina-Kyle: I’m sorry you lost all your money. 1) When Bane kicked Batman’s a** and broke his back. I kinda knew that was going to happen because my friend told me months ago that it was on the cover of the comic. But it still felt real. 2) The part where the fire lights up the bat signal on the building as a sign of hope. 3) When Bane was friend-zoned by Miranda. 3) The silence in the cinema as the bomb counted down from 5 to 1. Pin-drop silence. Followed by the thundering applause as the credits started rolling. Catwoman. I’m sorry but there’s only one catwoman who does it right. I will give Anne this, she looks great as catwoman. Plaudits for being able to run and fight in heels. Why not 5 stars? What the he** was Bane saying throughout the movie, Nolan?! He sounded like a cross between Chewbacca and friggin’ Darth Vader. Kudos to our Malaysian subs people for having the patience and skills to decipher that masked maniac. And why is everyone kissing Bruce Wayne?! I know Bane’s got that Hannibal Lecter mask on but the man is so hot still needs love. It is one of the few trilogies that was so thoroughly detailed yet completely nerve-jarring without compromising on intricate character development. So much so it’ll take watching it more than once to be able to peel through all the layers Christopher Nolan set up. My God, that man is brilliant. Final verdict: It’s not perfect, but it’s the best ending possible for part III. Would I watch it again? I think I have to. When Gotham is in ashes, you have my permission to die. Side note: How is it possible every cinema is fully booked out for this movie till Thursday next week?! Thinking of: My new responsibility kick-off, how TDKR seems to be hitting on people who live rich, luxurious lives, Missing Sun appreciation dinner, surprises gone wrong, the Neon marathon and Alfred Pennyworth. ‘In your onion’? Typo right there,lol. overall a good review.